It’s time for another Ask Dr. Geier column. This week I address an interesting question about the true need for MRI studies after particular injuries. Is an MRI necessary for an ACL injury? Hello doctor, first let me say, I just discovered your site and podcast and will be recommending both to my friends. I am researching ACL information as my girlfriend injured her knee 18 months ago while playing rugby. After some recovery she found that some instability remained and requested a referral to a sports doc. He reckoned an ACL tear on the strength of some in-clinic load tests and sent her for x-rays and to a surgeon. She has since moved and gone through the same procedure of load tests and x-rays in her new local. We live in Canada and while there is socialized medicine, there is a queue for services and it is my guess that that is why no MRI. My question is: in a perfect world would you send every patient where ligament damage is suspected for an MRI or perhaps a CT scan? Thank you for your time and the excellent website! Thank you so much for the feedback on the website. I am really glad it has been helpful to you! I definitely have some thoughts on your question. I don’t really want to address the politics of healthcare in Canada (even though I actually know a fair amount about it with relatives in Canada…). My comments pertain the idea of an MRI necessary for an ACL injury. A sports medicine physician can fairly often correctly diagnose an ACL injury on the sidelines after it occurs or in the clinic. When the athlete describes the way the injury occurred, she often gives one of the classic noncontact mechanisms. Typical ACL injury mechanisms include landing from a jump with the knee fully extended or planting the foot to change directions. She might remember feeling or hearing a loud pop and her knee buckling as she fell to the ground. The explanation of the injury often raises a red flag for a sports medicine physician that she has torn her ACL. A sports medicine surgeon performs a Lachman’s test to assess integrity of the ACL. Also, physical examination tests can accurately reveal the injury. If a healthcare provider can examine the player before her knee swells and the muscles tighten up, these ACL tests easily demonstrate a lack of stability in the knee. That is one reason I often tell our orthopaedic surgery residents to believe the athletic trainers when they suspect a player has torn her ACL. They examine the knee before swelling and guarding develop, so their exams are frequently accurate. Is an MRI necessary for an ACL tear? Once swelling and stiffness of the knee develop, the injured athlete often guards against these tests in the clinic. In this phase (usually between 24 hours and 7 days or so), it can be difficult to get the patient and her lower extremity to relax enough to get clear results with these maneuvers. If the diagnosis is unclear, ordering an MRI might be reasonable. If the ACL tests clearly suggest an ACL injury, then an MRI isn’t always needed. Obtaining an MRI to look at the other structures in the knee may or may not be necessary. The surgeon does look at the other structures in the knee arthroscopically when performing the ACL reconstruction. 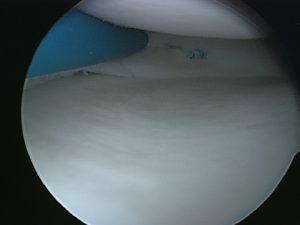 For instance, knowing whether or not there is a coexisting meniscus tear isn’t always required, as the surgeon is prepared to trim or repair the meniscus if a tear is found. On the other hand, if the surgeon suspects multiple ligaments are injured, an MRI might be warranted, as that knowledge would potentially change the surgical plan. The surgeon can often use sutures or other devices to repair a meniscus tear if one is found during the arthroscopy of the knee. I would point out that ordering an MRI necessary for an ACL tear is not necessarily wrong. I know I have questioned the routine use of MRI studies for evaluation of knee pain in every single patient previously. If the diagnosis of ACL tear is unclear, if there is concern for a multi-ligament knee injury, or if athletes, parents, or sports teams specifically want one, I think that an MRI can be useful. Is ACL surgery for a child safe? Can you run after ACL surgery?